When inspiring group creativity, a little vino never hurts. Remember the paint, glaze, and fire shops of the 1990s? Friends, dates, or parents and children would decorate their own ceramic mug, serving dish, or plate with glaze, then leave it with the shopkeepers to fire in their kiln. Upon return a week later, their design was permanently emblazoned across their keepsake. Those shops were beloved for a reason. They provided a unique bonding activity, and a tangible item to take home. 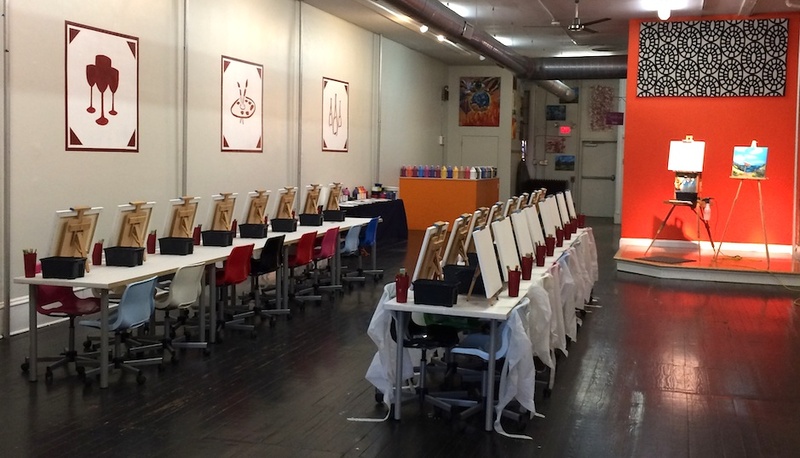 Well, now there’s a new crop of creative activity shops popping up around the US. They’re just as creative, but don’t require a 1000-degree oven. They’re “corks & canvases” shops. That is, outlets for letting your creative juices (and some fermented juices) flow in one place. So why do they matter to us? Two reasons. 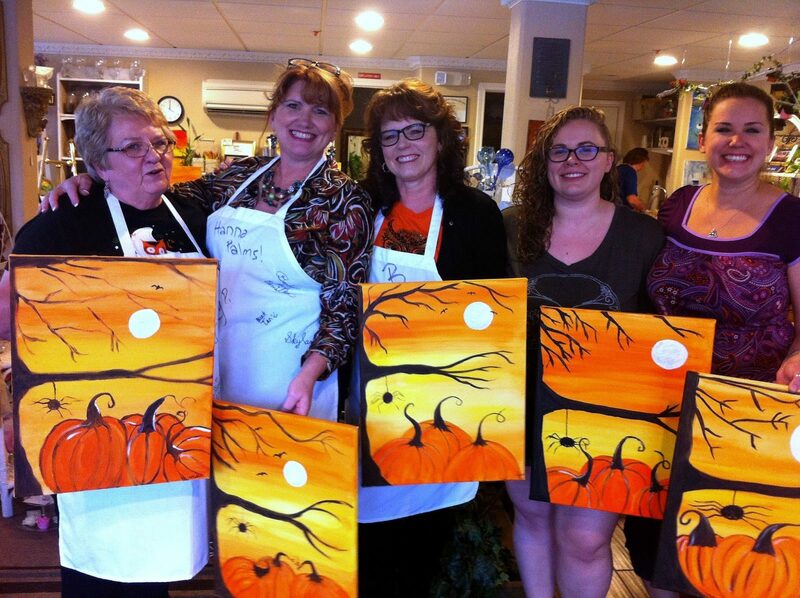 First, they can be a great, easy venue for your next team bonding event. Or second, they can provide inspiration for an event you run on your own. Bond over a shared activity. We know, small talk can get old. For some, the prospect of a room full of colleagues with nothing to do is akin to a nightmare. Throwing an activity into the mix relieves the tension by providing a distraction. Can’t think of something to say? Chalk it up to focusing on your floral still life. Whether your team has a desk full of design awards, or a drawer full of mathletics ribbons, creativity does wonders for relaxation, innovation, and happiness. For those who don’t spend their waking moments doodling on their notepads, painting in the presence of your colleagues could feel daunting. Embrace that. Getting your team outside of their comfort zones is a great way to increase their camaraderie. Make your own take-home gift. Finally, who doesn’t love some swag? 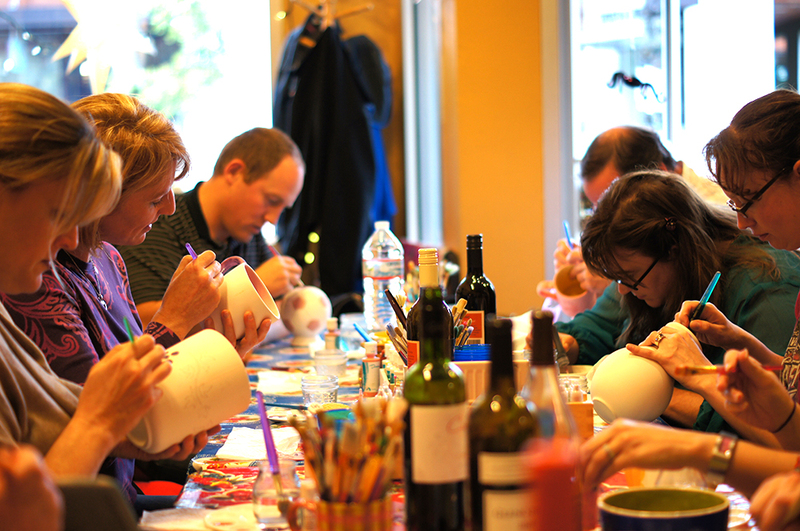 At a corks n’ canvas party, guests get to make their own gift. Hopefully, that means they walk away with something they like, and they can be proud of. Sound like a plan? If you’re simply looking for an afternoon team bonding activity, don’t reinvent the wheel. 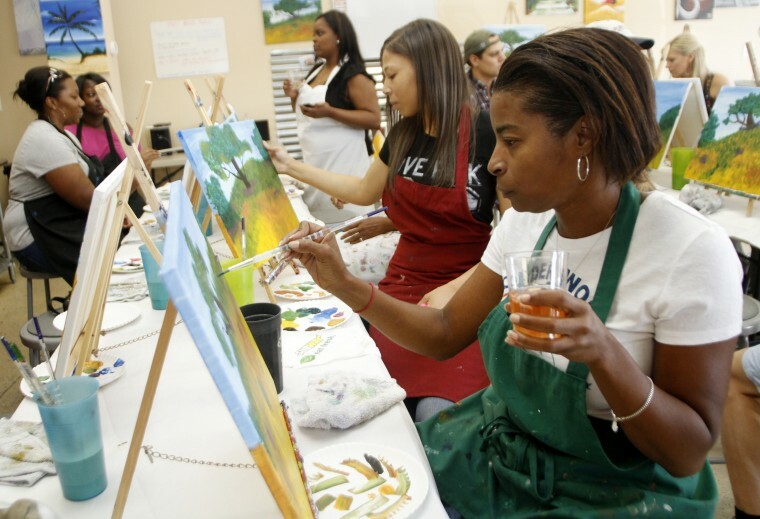 Look for a painting & wine shop near you. 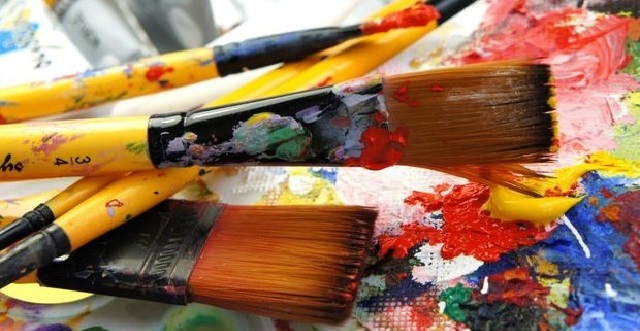 But if you’re planning an event for hundreds, or want to make it a bit more special, consider hiring a local art teacher to facilitate the evening. Most importantly, don’t forget the wine! Check local restrictions on serving alcohol, and hire a bartender if needed. Then, let the good times roll!